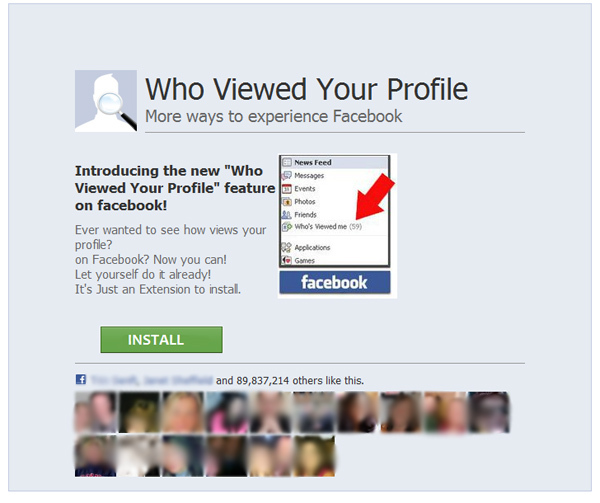 Scam Message: Who Viewed Your Profile – Introducing the new “Who Viewed Your Profile” feature on facebook! The scam creators cleverly import the profile pictures of the user’s Facebook friends to make the scam appear more legitimate. We decided to stop here, and we advise you to do the same.